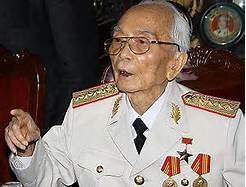 North Vietnamese Gen. Vo Nguyen Giap died last month at the age of 102. 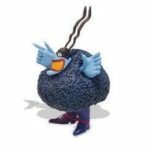 The news stories reporting the general’s demise brought back memories of the distant rumble of artillery, illumination flares hanging in the night sky, helicopter rides and the clatter of small arms fire. And the chilly remembrance that the situation in Vietnam was far more convoluted than we had been led to believe. Gen. Giap’s strategic decisions affected America’s 8.2 million Vietnam era veterans in one way or another, especially the nearly 2.6 million that served in the country. By the time U.S. troops departed in 1973, American losses in Vietnam totaled over 58,000 killed and more than 153,000 seriously wounded. Giap became active in politics in the 1920s, studied law and political economy. At one time, he taught history. He worked as a journalist in the 1930s. A ferocious nationalist, he joined the Communist Party of Vietnam in 1931. Although lacking formal training, Giap began his military exploits resisting the Japanese occupiers in the latter stages of WW II. In a landmark campaign during the First Indochina War in 1954, Gen. Giap overwhelmed the French forces at Dien Bien Phu. His 55,000 troops occupied the surrounding mountains, dismantled artillery pieces were hauled up the steep slopes by hand. The astonishing and complex effort was supported by the toil of 260,000 laborers. His leadership continued in the Vietnam War of 1960-75. Gen. Giap was well versed in Mao Zedong’s three stage doctrine of using guerrilla tactics, forcing a stalemate and then switching to offensive warfare. His army was able to maintain strong popular support. He had advantages that could not be negated, Soviet support and sanctuaries in China. Gen. Giap was patiently willing to fight until the enemy called it quits. He knew that demoralization could turn the enemy’s population against the war. It took from 1945 to the fall of Saigon in 1975 to achieve his objective of national unification. Gen. Giap was eventually sidelined by resentful party members, accused of being an indifferent communist. The old man developed a dislike for the hardliners running the country. He accused the party of failing to control corruption. Vietnam has been moving away from its rigid, centrally planned economy. The economy has been growing at 5% per year. 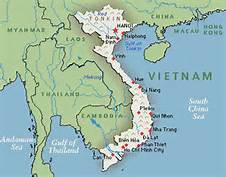 Vietnam ships nearly 20 % of its exports to the U.S. Although double-digit inflation has subsided, the country still faces serious economic problems. The state-owned enterprises controlled by the ruling Communist Party and state-run banks, account for 40% of economic output. Many are inefficient, loaded with debt. Corruption remains mostly unchecked. Inequality is rising, the job market weak. Vietnam has unhappily learned that misrule by communist leaders can be as bad as capitalist exploitation. Bob, Mr. Turse makes an excellent presentation of the sad consequences of the obsession with body counts held by our military leaders. The loss statistics for the North Vietnamese army and Viet Cong in the post were reported by the North Vietnamese government. They were a determined people. Karl, there’s a good bit of doubt about the “official” numbers on casualties. Hard to believe that losing 5 times the number of troops as the enemy is a recipe for victory. For a different explanation of what happened and the identity of those dead “Viet Cong,” take a look at Kill Anything That Moves, by Nick Turse.